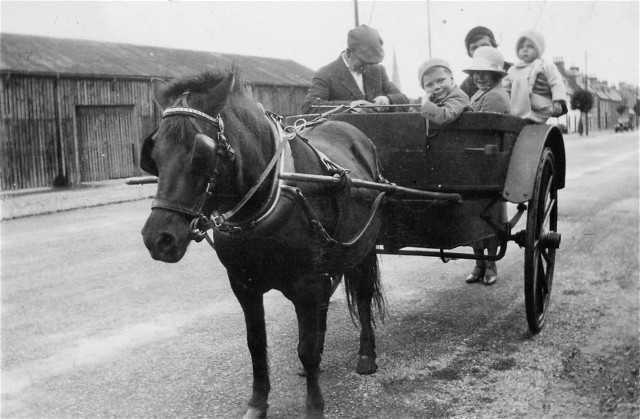 Who is this gentleman with his pony and trap with passengers? They look to be at the western end of the High Street. See picture #246 and picture #247.